Both the latest film releases and classic movies will be screened at Lower Bush Court as part of McDonald’s Community Cinemas. The cinema will be run by volunteers with proceeds going to charities dedicated to improving the quality of life of sick and disabled children. 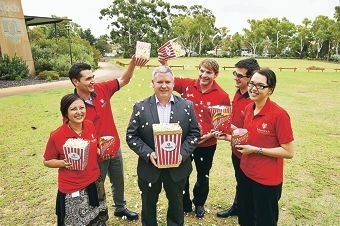 Acting chief operations office Steve Dickson said the cinema would operate seven days a week over the summer while making great use of the open space available on site. ‘The university is committed to supporting the community and what better way to give back than through an exciting partnership like this one,’ he said. The event has changed its name from McDonald’s Movies by Burswood. The season will run from November 27 until February 7.